“In order to manage risk, you must scare people”. Sir Nicholas Stern - soon, no doubt, to be enobled as Lord Stern of Chicken Licken - has certainly scaremongered throughout his report. The extent of this scaremongering is exposed in today's Wall Street Journal by Bjorn Lomborg. Over a number of years Lomborg has been trying - pretty unsuccessfully - to reintroduce the world's policymakers to the central economic concept of 'opportunity cost'. That's the idea that if you spend one pound on one project you lose the opportunity to invest it in another project. Lomborg's Copenhagen Consensus keeps asking economists and politicians to evaluate whether taxpayers' money being earmarked for climate change could be better spent on other causes. The same answers keeps coming back: yes, yes, yes. Over the weekend Professor Lomborg's Copenhagen Consensus convened a meeting of 24 UN Ambassadors and (repeating earlier work by distinguished economists) the meeting decided that disease, water, hunger and education should be priorities for international action - more important than addressing climate change. The BBC failed to report the meeting but you can read about it on Yahoo and in The Washington Times. [The BBC did give Professor Lomborg a platform back in September]. There is also the opportunity cost of politicians' time and attention - a point made in ConservativeHome's 'Not today's news' entry of Monday. "There are all sorts of things we can do, from riding a bicycle to putting a windmill on our roof, that may make us feel good..."
"...But there is no escaping the two key truths. First, there is no way the growth in atmospheric carbon dioxide can be arrested without a very substantial rise in the cost of carbon, presumably via the imposition of a swingeing carbon tax, which would require, at least in the short to medium term, a radical change of lifestyle in the developed world. Are we seriously prepared to do this? (A tax would at least be preferable to the capricious and corrupt rationing system which half-heartedly exists today under Kyoto.) And the second key truth is that, even if we were prepared to do this, it would still be useless unless the major developing nations – notably China, India and Brazil – were prepared to do the same, which they are manifestly and understandably not. So we are driven back to the need to adapt to a warmer world, and the moral obligation of the richer countries to help the poorer countries to do so." "The first is that many of the feared harmful consequences of climate change, such as coastal flooding in low-lying areas, are not new problems, but simply the exacerbation of existing ones; so that addressing these will bring benefits even if there is no further global warming at all. The second reason is that, unlike curbing carbon dioxide emissions, this approach will bring benefits whatever the cause of the warming, whether man-made or natural. And the third reason why adaptation – most of which, incidentally, will happen naturally, that is to say it will be market-driven, without much need for government intervention – is the most cost-effective approach is that all serious studies show that, not surprisingly, there are benefits as well as costs from global warming. Adaptation enables us to pocket the benefits while diminishing the costs." Thank heavens someone is putting Bjorn Lomborg's eminently sensible thesis back on the agenda. Finally, someone senior in the party speaks out. How much longer before the Conservative Party collides with reality? How evil of you, don't you know that capitalism must be destroyed, destroyed I tell you. The poor don't need development, they are happy with their hunger and high infant mortality, which is all the fault of evil capitalists. Besides Bjorn Lomborg is financed by evil multinationals that oppress the workers. We must accept the penalty for challenging Gaia, we have to start living in caves. Thus spake the luddites at the BBC. Hmm, Serf. You are almost there except for one detail. There is no "we". You have to start living in the cave while they fly round the world telling everyone else to. "the meeting decided that disease, water, hunger and education should be priorities for international action - more important than addressing climate change"
I basically agree with this, however securing water & food for everyone is a difficult task, and food aid can be very destructive to the 'aided' societies. Dealing with disease and securing education for (almost) all in the Developing World are relatively easy to achieve and have huge benefits to the Developed world also. The education and empowerment (eg via micro-loans) of women also reduces birth rates, reduces poverty, and helps solve the other problems. If we want the world to become a better place then education & female empowerment should be the priority. Some clever clever comments here.But what if Stern is right? I genuinely don't know whether he is a not but neither I suspect do you. Malcolm, if you read Nigel Lawson's speech you'll see that he does discuss (at p.13) the possibility of Stern being right and the 'precautionary pricnciple' generally. Indeed, Lawson is very keen to stress the uncertainty that is inherent in the whole subject. His overall prescription is that "we concentrate on present crises, and on future ones where the probability of disaster if we do not act appears significant". Politically, I was very struck by Lawson's aside "never underestimate the extent to which distaste for President Bush has fuelled the anti-global warming movement". When was the 'and' theory replaced by the 'or' theory? Looking after those that are in need now and also trying to protect the vulnerable from future climate change disaster's, countries like Bangladesh need us to act now. Why does it have to be 'or' ? If 'green' taxes are to be levied to reduce carbon emissions that money has to be spent on something. Why not international development ? "Why not international development ?" Why not tax cuts elsewhere? As Conservatives we should be fighting for a lower overall tax burden. In the long term this will boost our economy and make more funds available to spend on international development. "We can cut carbon emissions or give everyone clean drinking water, sanitation, basic health care and education right now"
I'm getting a bit fed up of this sort of rhetoric from some fellow Conservatives. The logic of such statements appears to be that the immennse monentary cost (in terms of reduced GDP) of implementing Kyoto-style carbon cuts could fund clean water, food etc for every man, woman and child on the planet. This may of course be true in theory, but I haven't heard the same commentators actually calling for the massive spending increases in aid to the developing world that would presumably be required to provide this "clean drinking water, sanitation, basic health care and education right now"
Surely the 'and theory' would suggest we can take action to address climate change AND invest in developing countries at the same time? I completely agree. I was just pointing out that the 'Copenhagen Consensus' presented a false antithesis: there is no reason why you can't tackle climate change and international development at the same time. In fact the two are closely linked: global warming is a contributory factor in the persistent droughts which Africa has suffered in recent years. "We can cut carbon emissions or work to reduce its impact"
Having just returned from Zambia, where my English born nephew was shocked to see people drinking from puddles and ditches, I agree that we need to help bring the advantages of clean water & sewage etc. to the poorest. But as DVA points out there is an "and". Zambia is dependent on imported fuel for its vehicles but is "green" in power generation having abundance of hydro-electricity. Its ideal for growth of biofuel plants - so let's spend some of the green taxes to support biofuel agriculture, displace carbon generation (so reducing world greenhouse gas production) and provide a cash crop, driving up employment and increasing the tax revenues that enables the Zambian Govt to put in water & sewers, employing more people in that = more GDP and so on. There's a problem with de-forestation; so what about re-forestation and also development of fuel tree plantations, trees grow faster than in UK so after 10 years cropping can start for charcoal production - again provides employment. Zambia has a huge are set aside as National Parks - these are incresingly under pressure - let's fund them to keep them green and ecologically healthy. There are plenty of other ways and other countries we can invest in - in the real meaning of the word not Gordon Brown's - to reduce carbon emissions, to provide employment and help economic growth to enable clean water, sewers, education, health facilities. Not through "Aid" but investment. It's a targeted form of Carbon trading - burn a litre of petrol in UK, fund a development that reduces an equal or more amount of carbon generation in a needy country. And who knows, increased prosperity could reduce emigration, reduce civil instability and provide markets for our skills and exports. We need to do something - tens of thousands of people are dependent on commercial farms growing for Tesco - air taxes will hit these hard as air freight will become too expensive and destroy markets for these goods. These will not be enough to meet the most alarmist projections and we ought to be planning for floods, droughts etc. Seems like the Flat Earth Society still has many members in our party. How very depressing! The patronising bastards' guild is going fairly strong, too. A good piece from Lord Lawson. Let's remember, what we call "Green" has little bearing on protecting the environment. If it was, then the rise in Green volume on the impending climate apocalypse will directly translate in a demand for more nuclear power. The Greens have a worldview. Environmentalism is simply a smoke screen to promote that using the fallback that anyone who dares criticise them wants to destroy the environment. Sure we should have pigovian taxes, but pigovian taxes set at the right level. The job of Green taxes is not to influence behaviour based on the demands on the all knowing government and its pressure group puppeteers, but to ensure that the true cost is reflected in the price the consumer pays. The Tory party should be talking sense on this issue, let the lunatics in Labour ladle on all the taxs it wants....then when the likes of China and India take no notice, of what is pure bunkum, see where we are in terms of the economy......looking pretty damn stupid and pretty darn poor, no doubt. But instead Cameroon can't wait to put a windmill on his house that won't even boil his kettle....He has fallen head first into the trap of trying to keep the green nutters happy....you can't, as their problem is with western society, they wan't to stop it. They will always find a problem that MUST be sorted to save the planet and the more it costs the better, especialy if the US gets hit hardest. "As if India and China are going to tell all their people.....sorry folks all this MTV lifestyle stuff ain't gonna happen, it's back on yr bikes and find that donkey...forget about any ideas of a car, a fridge, a washing machine and widescreen TV...that was all a mistake...Tony Blair and Dave say we all have to save the planet...to make it worth living in...."
They won't have to. They don't have an irrational pathological fear of nuclear power and biotechnology. A lot of this environmental guff is a stupid fad, with nothing to back it up. It also smacks of the nanny state. The Tory Party needs to get back to championing the thing that really matters. DVA: The application of the 'And Theory' on this occasion may be: Prepare to adapt to the consequences of climate change AND use today's political will, economic resources to do something that we can be sure will save millions of African lives. "The Tory Party needs to get back to championing the thing that really matters. I like the spirit, but from a strategy point of view, there may be a better idea. The key reasons for opposing Greeniness should not be emphasised in public as being about personal freedom. The Beeboids and Guardianistas would never accept that since they seem to get off on telling the masses how to live and what to think. No, the key is to out-left the Greens. Make a big case about how two million African children die each year because of the ban on DDT. Push the angle that "sustainable development" is a prison of poverty for the world's poor. Emphasise that the affluent chattering classes, who are behind the Greeniness (look at where Green party sees its greatest strength) are proposing foisting the poorer people off the road and away from foreign holidays, while they continue to enjoy them. The buzz words are environmental elitists and Green snobs. Show how the leaders of the Greens are some of the richest people among us, who, by virtue of their wealth will not have suffer like everyone else at the hands of a Green suicide pact. Zac Goldsmith, Georges Monbiot etc. If the chattering classes are guilt-ridden, give them something to be guilty over. Let's see more commonsense and an end to the Rories pretending to be hippies. We can stuff Zac Goldsmith in the bin for starters. It is very likely that the world will not possess enough extractable fossil carbon reserves for CO2 emissions to rise in the long-term by the kind of levels envisaged by Stern and others. The world is fast running out of oil (as all governments well know but heavily play down) and reserves of coal, gas, iron ore and all manner of other crucial raw materials are also being eaten up at an alarming rate due especially to the industrialisation of China. This will to some extent solve the threat of global warming by itself. The huge threat for the next century will not be global warming, it will be the global scrabble to find the energy and mineral resources that are necessary to maintain civilisation as we have come to know it. "The huge threat for the next century will not be global warming, it will be the global scrabble to find the energy and mineral resources that are necessary to maintain civilisation as we have come to know it." Well it needn't be. There's plenty of thorium around. I assume you mean the ones that believe Stern's wild exaggerations. Unless that is you didn't notice that he was given the job by Gordon Brown, who coincidentally welcomed the opportunity to increase environmental taxes. The main problem that I have with Nigel Lawson's suggestion of adapting to climate change is that we have a very fragile economic system. A week of fuel strike brought us to the edge of crisis - do we have the robustness needed to adapt to, say, the Northern US and much of mid-continental Europe becoming much shorter of water and much less productive of food, or to the migations caused by severe drought further South? We are going to run out of fossil carbon anyway, and we're consuming far more than we can ever replace with biofuels (by a factor of 10 or so) even if we gave over every wild place on earth to their production. Better, surely, to move to a position where the fluctuations and crises associated with competition for a declining resource are diminished? To my mind, both Lawson's and the green's arguments are reconciled if we move quickly to an efficient nuclear economy based on breeder fuel cycles, which would give us a thousand years to sort ourselves out on known fuel reserves. An equal an opposite reaction. The sort of speech that the didactic socilaists hate, another opinion to question their self-opiniated options which are proposed as the only solution. It is high time that the whole green/eco mafia was shown up for what it is, a money making niche for a bunch of fascists to impose their perverted will on the world. The speech by Lawson is a breath of fresh air to the stale miasma of the left. Whether he will have the breadth of reporting and sensible discussion,(i can almost see Monbiot working himself up to rage), or like Lomborg will be censored and consigned to the furthest corners remains to be seen. The problem is that both sides of the argument are dominated by shrill idealogues. On one side are those who doom-monger about 40m sea level rises and the billions dead unless we stop leaving our TVs on standby, and that this is all Bushitlers fault for not signing up to Kyoto. On the other side are those who rant about how the vast majority of scientists are wrong and it is all a Liberal Totalitarian anti-western conspiracy and/or new religion by bushitler Beeboids and Guardianistas. In fact lowering carbon emissions is easy. 1. Ban normal lightbulbs, so everyone has to buy energy saving ones. Energy saving ones come in most types now and the market will quickly fill any gaps. 2. Have a govt program to fit double glazing and loft insulation to every pre-1990 house that doesn't already have them. 3. Replace old powerstations with nuclear, (or hydro, tida, and geothermal where possible). 4. Try and develop ways of reducing harmful emissions from existing power stations (and can sell/give this tech to china). 4. Massively subsidise research on biofuels, electric cars, hydrogen fuel cells, etc. and the infrastructure (petrol pumps) for these. 5. And while we are at it, require all toilets to have that Big Flush or Little Flush button thingy. Even if climate change is wrong, households will be saving money on their energy bills, we will be less dependent on the middle east and russia for our energy, and there will be less smog. "DVA: The application of the 'And Theory' on this occasion may be: Prepare to adapt to the consequences of climate change AND use today's political will, economic resources to do something that we can be sure will save millions of African lives." Which is all well and good for those of us in countries better placed to 'adapt to the consequences of climate change' (three cheers for a return to good old-fashioned 'treating the symptoms, not the cause' pessimistic political solutions), but, as always, it will be the poorer countries who will be hardest hit by the consequences of climate change. You know I have the utmost respect for your opinions Editor (sir), and I apologise for being so blunt, but on this occasion there seems to be a conspicuous lack of joined-up thinking. Addressing the issue of climate change and tackling Third World deprivation are mutually supportive, not mutually exclusive, goals that political leaders the world over should be looking to achieve. I want to cry when Conservatives use the B word. Make energy inefficient light bulbs and other things more expensive with taxes, but lets not ban anything. I am sure that there are people who use incandescent light bulbs for niche purposes where they use the heat as well as the light. By banning them, they all of a sudden have to use another source of heat, which will be definition not be any more efficient. Persuasion is always better than force. Force just gives more power to the army of state inspectors, that want to micro manage our lives. Conservatives shouldn't help them out. Patronising I may be William Norton but a lot of people on here are fooling them selves over this issue. To quote from the Royal Society website "In the journal Science in 2004, Oreskes published the results of a survey of 928 papers on climate change published in peer-reviewed journals between 1993 and 2003. She found that three-quarters of the papers either explicitly or implicitly accepted the view expressed in the IPCC 2001 report that human activities have had a major impact on climate change in the last 50 years, and none rejected it". Lord Lawson addresses the issue of poorer countries very directly in his speech, Daniel. The fact is we can do much more for poorer countries if we do not spend all of our limited resources ineffectively COMBATTING climate change. The Lawson-Lomborg analysis is that we can much more usefully address hunger and health issues now and then help poorer countries ADAPT to climate change later (should it occur on the scale forecast by the gloomiest greens). 3. Whether we would be better adapting to any climate change rather than trying to stop it. I use energy inefficient lightbulbs because I cant afford energy efficient ones...if it was made more affordable I would buy them, but they are priced out of those on lower earnings pockets. On the other hand, I dont own a car, and I re-use my carrier bags. I also use a windup/solar radio instead of one with a mais plug. In the argument between Lawson and Stern, I support Lawson. The UK makes such a small impact on global warming that it would be folly for us to have to go to all the effort to cut our own emissions if the UK, Indias and China produce vastly greater amounts of pollution. We are small fry in the table of damaging emissions. We need to learn to adapt to it instead of trying to beat the inevitable. We can make all the targets we want but its not going to make a difference at all. Lawson and Lomborg seem to think that addressing climate change means that resources are used that could otherwise go on mitigation and development in the developing world. But increasing the price of carbon will stimulate alternative technology which can then be used by the developing world - raising their standard of living and creating new opportunities for business. I thought Conservatives supported the precautionary principle and opposed waste. What is economically sensible about being immensely wasteful of non-replaceable materials?. You wouldn't do it with labour or capital. As for Stern: increase green taxes BUT cut other ones. "I want to cry when Conservatives use the B word. Make energy inefficient light bulbs and other things more expensive with taxes, but lets not ban anything." Govt should try and keep things simple. Changing what lightbulbs people buy through tax just seems uneccessarily complicated - you'd have a light bulb duty and bands depending on their efficiency, perhaps a Lightbulb Duty Escalator! And as long as people have a choice that the govt is trying to influence, then we will have initiatives such as the current requiremnet for new homes to have 25% energy efficient bulbs - a building regulation, that architects must specify on drawings and building control oficers must check. Just keep things simple, ban inefficient light bulbs (for general use, you need some exceptions). They pay for themselves after about a year. I have just finished listening to PM on Radio Four where we were all being told that burning bonfires on sunday will send the wrong message to children about climate change. Do these people live in the same reality as me? How did this talked about programme of disproportionate tax rises linked to a complete lack of understanding about how ordinary people live their lives become common political currency? Why are conservatives participating in it? You know something is wrong when the Prime Minister of Great Britain, one of the most powerful people on the planet, is complaining about bonfires on Guy Fawkes night! The most bizarre thing is that the people just take it and not realise that this Government truly is Socialist and wishes to control every aspect of British life. Come on Cameron, get angry. This is just one more example of what is wrong with this country. Very refreshing to hear some candid views from Lord Lawson. 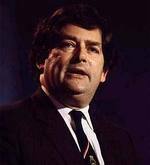 "Lord Lawson addresses the issue of poorer countries very directly in his speech, Daniel. The fact is we can do much more for poorer countries if we do not spend all of our limited resources ineffectively COMBATTING climate change. The Lawson-Lomborg analysis is that we can much more usefully address hunger and health issues now and then help poorer countries ADAPT to climate change later (should it occur on the scale forecast by the gloomiest greens)." I think we'll have to agree to disagree on this one. I feel that poorer countries would be much better served in the long run by taking preventative action against climate change now and providing support to tackle deprivation in poorer countries, as opposed to waving the white flag to climate change and hoping that there will be enough money left over, after implementing prescriptive measures to adapt to the huge potential damage caused by climate change, to provide some support to the poorer countries who will be worst affected by climate change. If you want to talk about more effective spending of our limited resources, then I could suggest withdrawal from the abominable Common (Ripoff) Agricultural Policy or scrapping plans to renew Britain's nuclear 'deterrent', which is little more than a misty-eyed anachronism harking back to a bygone era when Britain was a global power, two more worthy means by which this could be achieved, but I suspect we'll probably disagree on that front as well :-). Daniel, let's you and I agree to agree. I find it depressing that some Tories still sound straight out of the devil-take-the-hindmost 1980s. New era, guys! Part of that is no more climate change denial! Firstly I am 90 per cent with Mr. Nigel Lawson views on global warming and can't wait to read his book after reading his article in the Daily Mail Yesterday. The 10 percent I am against is the involvement in nuclear power stations. However I was bitterly disappointed with Andrew Marr talking him down on his programme this morning, he always does this to people and does not allow them to have their say if he disagrees with their views often talking over them. It is refreshing at last to hear from someone who has probably 80 per cent of the nation’s views and who are all sick and tired of hearing about climate change and global warming. We want to hear the alternative view represented fairly.